Our next big event will be the Northern Maine Fair on July 31, 2013, 8pm (7pm US time) . See our map for directions. Pick up our new CD at the Wednesday jam sessions or at our performances. $15.00 (we will mail copies for an extra $5.00 shipping and handling — includes our trip to the post office and maybe we’ll get an ice cream at Carl’s too) Seriously, proceeds support WEF projects including sending our young folks to fiddle camp. Thank you. 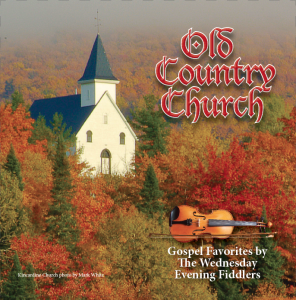 Gospel music has always been a part of the Wednesday Evening Fiddlers repertoire, so to celebrate our 25th season we decided to record a Gospel album. 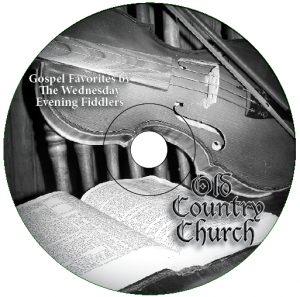 We have included a number of Gospel standards that will be familiar to everyone. 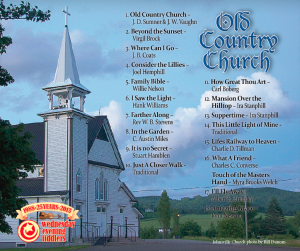 A special Thank-You to Larry Adams and Paige Lavoie for doing Bass and Piano accompaniment, Mark White and Cathy Adams for contributing photos, Bill Duncan for photos & design, and all the fiddlers who helped with the project. Photos of our recording session. Jean submitted the song titles to Gracenote. They should appear in iTunes when you import the CD. 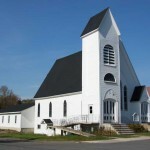 WEF will meet again at United Church starting 17 Oct, 2012! 2011 Fiddle Night at the fair–a great crowd! 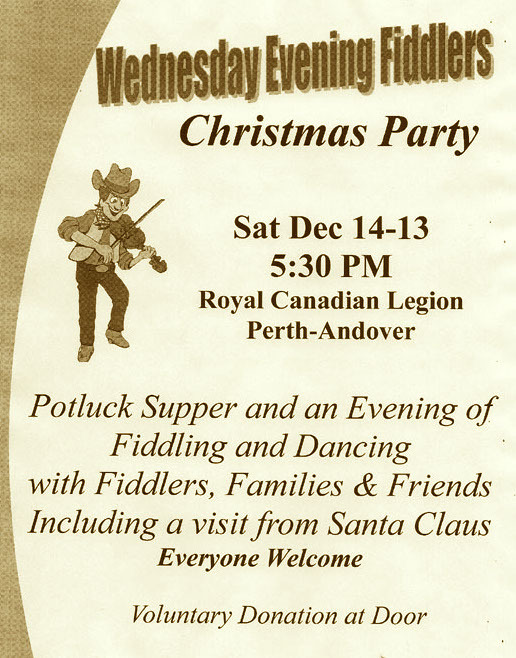 You’re invited to come hear (and dance to) the Wednesday Evening Fiddlers. Wednesday (of course! ), 1 Aug, 2012, for Fiddle Night at the Northern Maine Fair, Presque Isle, 7:00 PM (US time) See our map. 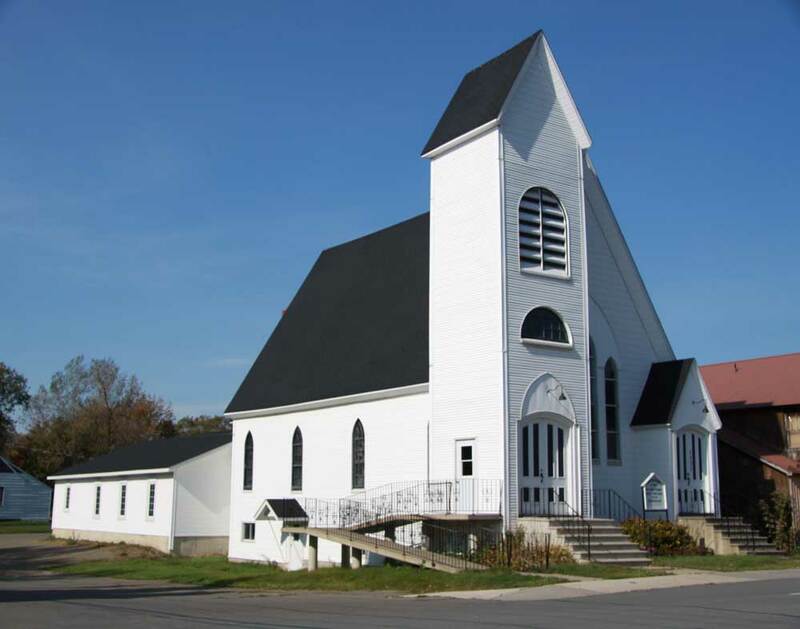 Public jam session Wednesdays, 7pm at United Church Hall, Perth-Andover. (see our map). 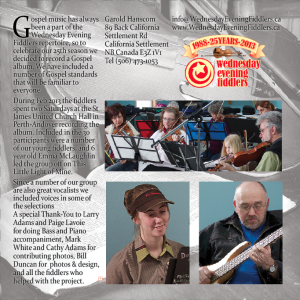 Musicians of all skill levels and listeners are always welcome. The Hall door is at the back. Voluntary donation goes in the fiddle at the door and we thank you. Proceeds go to support various projects. Welcome to the "not-quite-official" site of the Wednesday Evening Fiddlers. You are invited to comment. Bill Duncan is your humble webmaster. Enter your email to subscribe to WEF, get all new posts by email.